Plan assets increase with returns that the plan earns on its investments, reducing the pension expense reported in the statement of profit or loss. 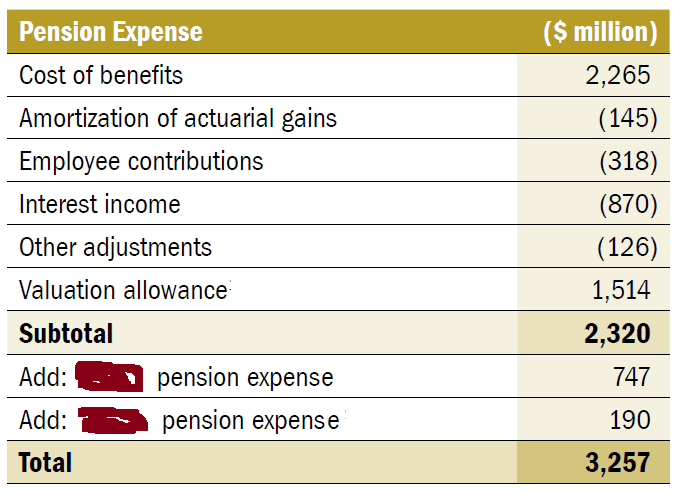 Note that an employer’s contributions are not part of the calculation of pension expense for a defined-benefit plan. As a result, employer contributions are rarely equal to pension expense (however, over the long run, the two tend to trend in the same direction). In contrast, for a defined-contribution plan, an employer’s annual pension expense is equal to their required cash contributions. This important distinction is often a point of confusion for users of financial statements who may incorrectly assume that the straightforward relationship between cash and pension expense in defined-contribution plans also applies to defined-benefit plans. Service cost is the primary component of pension expense. Each year, a plan sponsor adds service costs to the pension liability as part of the future pension benefit to employees for their additional year of service. Service cost is an actuarial calculation of the present value of future retirement benefits earned by employees in the current year. Service cost varies depending on job promotions, wage increases and date of retirement, all of which affect the final amount of benefits. Since service cost is a long-dated present-value calculation, it is the component of pension expense most sensitive to the discount rate. A defined-benefit plan has actuarial gains and losses each year because a plan’s experience during the year does not exactly match the long-term assumptions set by the sponsor and his actuaries for actuarial calculations. The accumulated gains and losses are deferred and treated as an accounting adjustment to the pension liability. However, accounting requires a portion (equal to the unamortized balance divided by the expected average remaining service life of employees) of the total gains or losses to be included in calculating pension expense each year. Recognizing a portion of accumulated gains decreases pension expense in a given year, whereas recognizing a portion of accumulated losses increases it. This “dripping” of portions of accumulated gains or losses into pension expense over time is referred to as amortization. This accounting method is designed to avoid large year-over-year changes in a sponsor’s annual pension expense due to short-term actual results varying from a sponsor’s long-term assumptions. In defined-benefit plans in which employees make contributions but are not joint sponsors, employees directly offset some of the increase in the plan liability with their own contributions. Since this money is paid by the employees, but the sponsor accounts for 100% of the plan, the amount is simply subtracted from the sponsor’s pension expense for the year. In the case of jointly sponsored pension plans, the company sponsor only accounts for its half of the plan. 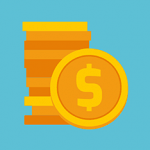 Employee contributions only affect the employees’ half of the plan and therefore, the sponsor’s accounting does not need to reflect these contributions in any way. Interest income (expense) should not be confused with actual investment returns (losses) earned by the plan assets (e.g., interest on bonds, dividends on stocks, changes in value). Net interest income (expense) is an accounting calculation determined as the difference of two amounts. First, interest expense is calculated by using the discount rate to grow the accrued benefit obligation because, with the passage of time, employees are one year closer to retiring and receiving their defined benefits. Second, the expected return on plan assets is calculated by using the assumed rate of return on plan assets to grow the plan assets for the same period. Actual returns higher or lower than this calculated amount are considered actuarial gains or losses from experience. The net amount of interest expense and expected return on plan assets is recorded in pension expense as interest income (expense). Remember the discount rate and expected rate of return on plan assets are the same for the company’s accounting as a sponsor of a pension plan. As a result, when the accrued benefit obligation is larger than the plan fund assets at the beginning of a fiscal year, the company will recognize net interest expense. Conversely, when plan fund assets are larger than the accrued benefit obligation at the beginning of a fiscal year, the company will recognize net interest income, which was the case in the March 31, 2016, financial statements. If the valuation allowance increases during the year, the change in the balance is added to pension expense. If the valuation allowance decreases during the year, the change in the balance is subtracted from pension expense.